We can't confirm that Santa Claus is checking our web site this holiday season – he keeps those things pretty secret – but we do know we can help make a list of another kind. 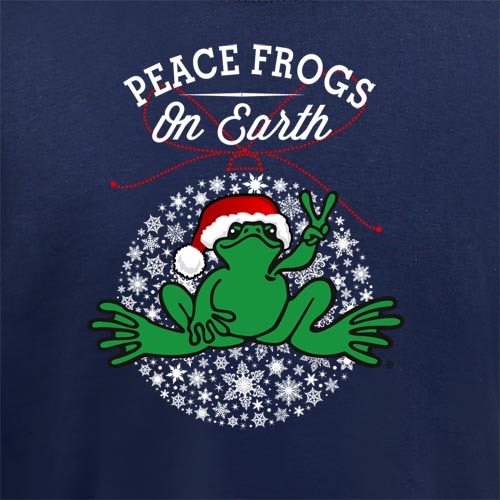 This holiday season, Peace Frogs' web store features an online wish list where customers can select their favorite items to send to family and friends. List out your favorite t-shirts, Tervis tumblers, hoodies, lounge pants and more! The wish list feature is free. The only requirement is an online registration form (http://www.peacefrogs.com/member_register), which asks for a name, mailing address, email address and phone number. You'll receive a private member login to manage their wish list, orders and more.